The show premieres June 10. We got a sneak peak on Wednesday of the highly anticipated edition of Celebrity Family Feud featuring Kanye and Kim Kardashian West going up against the rest of the Kardashian/Jenner clan. The teaser that Kris Jenner posted to her Instagram shows (an unusually happy?) West getting really into the game. 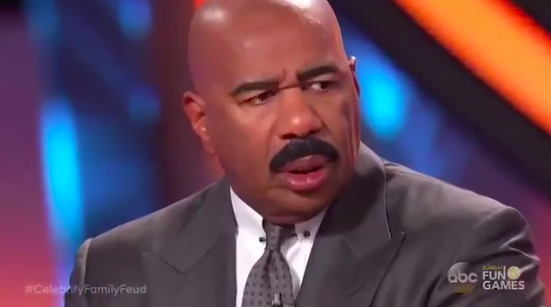 Host Steve Harvey begins by asking a silly question about his smooching technique. 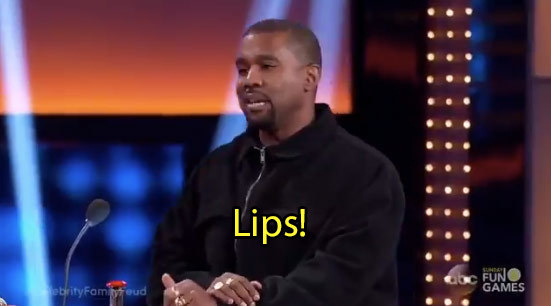 To which West says, "Lips." Harvey clearly wasn't ready for competitive 'Ye, who came to win. ...Kendall Jenner and Khloé Kardashian also came to play. Filming for the show took place in February, according to an Instagram posted by West's cousin Ricky Anderson. The show itself premieres on June 10. So...if West seems different from the guy who recently said slavery was a choice and who called out former president Barack Obama for not apologizing to him, it could just all be a matter of timing — these incidents happened earlier this month. Though there are still a few weeks until the show premieres, it will definitely be one to watch. Harvey recently told Ellen DeGeneres that West was "the best Family Feud celebrity panelist we've ever had on the show."